Yellow Jersey Cycle Insurance was founded by fellow member Ryan Georgiades when he realised existing options, through home insurance and other stand-alone providers, didn't offer products that meet all of our needs. He discovered we weren’t covered for the things we needed the most, such as racing home and abroad, with several bikes to insure he realised home insurance couldn't deliver, whilst other stand-alone products were complex, confusing and not easy to set-up. He also noticed travel insurers often excluded cover for cycling or triathlon specific holidays such as those provided by Embrace Sports. As well as being a cyclist and triathlete, Ryan and his family have 25 years insurance experience, so in consultation with Clapham Chaser club-mates he put his passion, cycling insight and commercial expertise into providing something cyclists and triathletes could rely on. 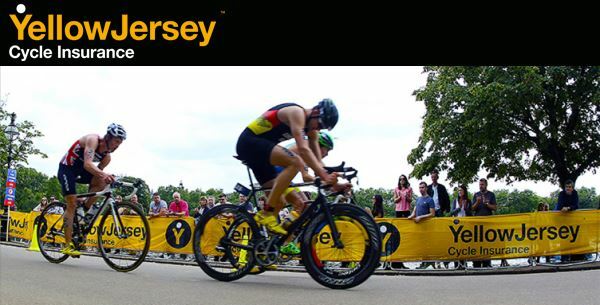 Yellow Jersey are endorsed by British Triathlon and their insurance policies have been designed to provide cyclists and triathletes with reliable, comprehensive cover when training, travelling and racing. Cycling/Triathlon specific travel insurance which covers claims for trip cancellation, medical expenses, repatriation on top of lots of other features you’d expect from a travel insurer. Yellow Jersey already insure lots of Chasers and they offer a club benefit 10% member discount on both products – VISIT www.yellowjersey.co.uk for quick and easy application. Yellow Jersey Cycle Insurance offer a club members a discount of 10% please contact the Facebook Group for the code. Yellow Jersey Cycle Insurance has been designed by fellow Clapham Chaser Members and comes with the promise to get you back on your bike in 14 days or less.